My name is Kimmie Weeks and I am starting a new movement that will work towards a Liberia where youth empowerment for nation building is priority. 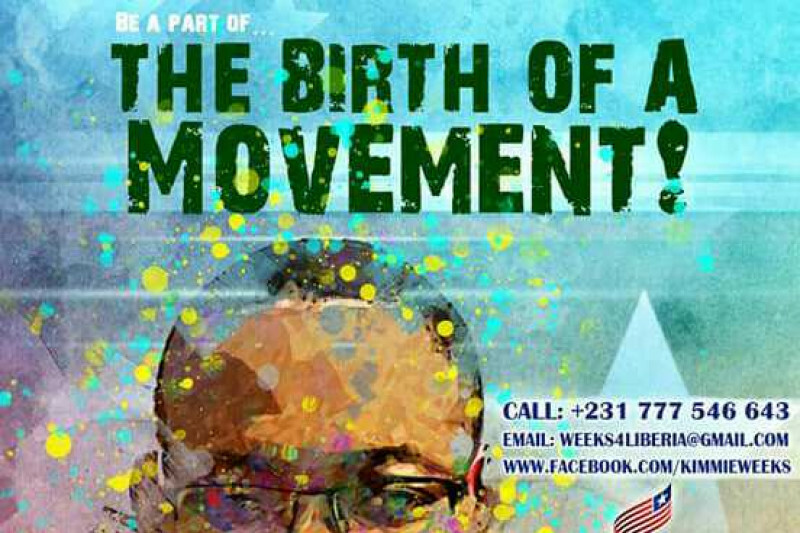 As Liberia heads into general and Presidential elections in 2017, your support is critical to helping Kimmie Weeks and his team of dedicated volunteers build the foundation of a movement that we believe will have an important impact on the Liberian elections now and in the future. It will ensure that young people have a major stake at the table and that policies and programs are created at the national level to prioritize the empowerment of Liberian youth. We will ensure that young people are central to the national agenda and that words and campaign promises translate to reality. It is my hope that you will support the movement now as we are only a matter of months away from the elections and have a lot of work to do ahead of October. We cannot do it without you. As a supporter, we will of course keep you updated with the progress and development of this movement. Thanks in advance for supporting this important next step. December 25, 2016: CCTV profiles Kimmie Weeks on "Faces of Africa." Kimmie Weeks registers to vote in Liberia's 2017 elections. So honored to know you Kimmie. The world is ready and so needing you. Wishing you success in building your youth-driven movement! Kimmie we are with all the way! "Keep on fighting the good fight." BRAVO!!! KEEP THE CHILDREN AND THEIR WELL BEING AS YOUR PRIORITY!!!! !